One Kiss in Mandala Nightclub Cancun! Partyholics! I need you to tell me how many of you are in love with “One kiss” song by Calvin Harris & Dua Lipa? It’s really my favorite summer song, plus it’s a great party song that I definitely don’t get tired of listening in one of the best nightclubs in Cancun: One kiss at Mandala Nightclub! 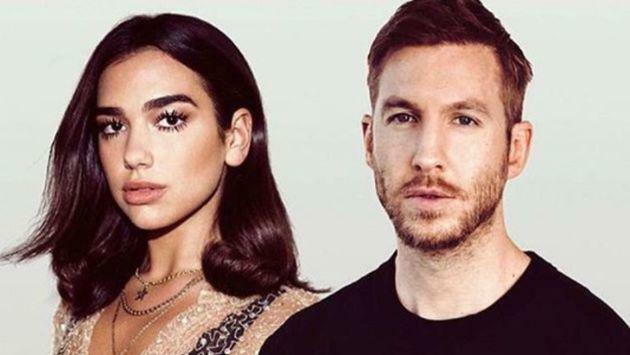 Calvin Harris is one of my favorite artists, all his songs are excellent and to be honest I think Harris & Dua Lipa have done an excellent collaboration, the style of music of each one makes a perfect match and I really hope to see more singles of them! I absolutely love everything about this song, the rhythm, the lyrics, the video, the voice, everything! This great single records more than 240 million reproductions in Youtube, with which Harris remains in the first place of modern dance music, although with this song it reminds me of the summer of the 2000s just when Ibiza house and deep house reached the successes of pop, and a bit of electronic music of the 90’s with the trumpets. Even the video reminds me of that time, since it is based on an analogue television on the beach with novice aesthetic moments and what seems like everything was recorded with a VHS camcorder, in addition to the effects, costumes and retro colors of the video. I am really fascinated by the rhythm that they put to the song, as every weekend that I go out to party either to Mandala Nightclub, The City Cancun, La Vaquita, Palazzo or Dady’O, they play it, it is the best song of the summer that of course it can’t miss in the best clubs in Cancun. So you know, if One Kiss is also one of your favorite songs and you die to hear it at Mandala Nightclub in Cancun, go quickly to Mandalatickets.com and book your tickets now!